Need to keep a record of products? Looking for something more comprehensive and powerful than Excel? Want a database without SQL? A popular SaaS tool that’s making headway in tech circles and with companies looking to solve those common business problems is Airtable. But is it the right program for you? In this post, we’ll look exactly at what Airtable is, use cases that fit it and then look at why it doesn’t work as well for productivity or managing projects. Also: Find more info on free project management software! Airtable is an easy-to-use table combined with a database. It takes what you love about Excel and Google Sheets and puts a modern spin on it. Think of Airtable as a fancy spreadsheet that helps you track inventory, lists of reference items or as a bootstrap CRM. Essentially, Airtable is a super-friendly, non-intimidating database for the 21st century, disrupting traditional database management systems that rely on SQL or other complex languages. The cells and design look like a spreadsheet, but you can also link records across tables, and reference files or attachments quickly and easily as well. 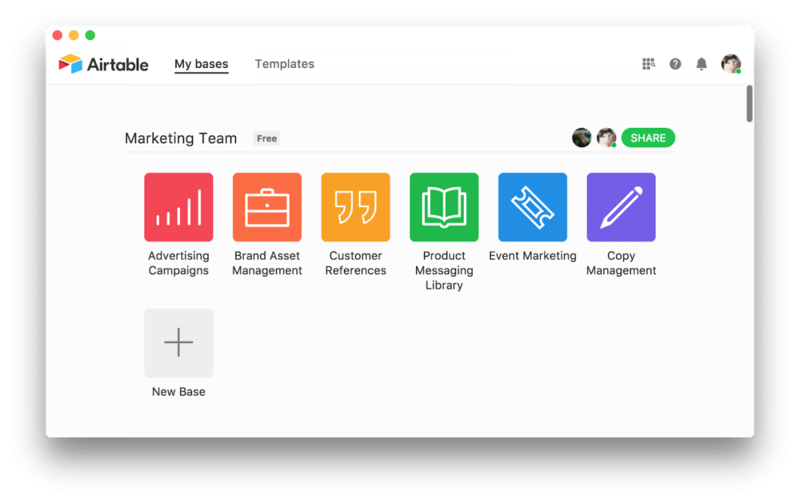 Airtable is quite an impressive tool and has lots of great features, but it’s not a great project management tool, especially for team collaboration. If you have a different base or space for all of your work, how do they communicate together? How do you gauge how much work you have in one area compared to another? The answer is: you don’t. The bases don’t connect. You either have to put unrelated tasks together (throw in your product development with marketing?) or keep them completely separated. But that’s not how modern teams work. You’re siloing your teams and you’ll have to use another project management tool to connect all of the dots. Modern task management and productivity platforms depend on idea generation, review, and feedback. It’s difficult to do that in Airtable without multiple clicks into the spreadsheet to find the right record and then leave a comment. To do it easily, you’ll have to link to Airtable right inside of another project management software solution. How many steps should this really take? It can serve as a great checklist, bug tracker or repository for assets, but it’s difficult to improve and review. It’s a database, not a collaboration tool. Who’s done what this week on what? In Airtable, you don’t know. You can’t find out time estimates or time tracking without yet another busy blocky add-on. A tool like ClickUp gives you time tracking with more reporting options in the premium plan. Download the ClickUp Chrome Extension to take advantage of native time tracking. Everything is in line, right where you work without hunting for yet another addition. ClickUp keeps it simple with the tools you need just a click away. What’s the status of this task? How does it connect to the sprint or the project? In Airtable, it’s very difficult to set up any of this for visibility into the work of the whole organization. You’d be dependent on everyone separately updating their tables, giving you access and then switching between each of them just to find simple answers. This is unsustainable in the long-term. With a project management tool like ClickUp, you can set up Teams and Spaces, and easily view all levels of your company.. This won’t work in Airtable. If a particular record needs more detail or if you find out that it’s a bigger task than you originally thought, then tasks in Airtable are impossible. Does Airtable even have tasks? Airtable only has rows without much detail or the ability to record specific comments. You have to hack it and customize it (see below!) to really have tasks. Not to mention subtasks. For those, you’d have to create a different link to another table with the tasks that you need to see. Seriously. Talk about clutter, confusion, and complexity. Airtable does nothing to solve this. Since your entire team has all of their individual to-do lists in ClickUp, you avoid using way too many tools which lead to repetitive meetings going over the same project updates. Project managers and all concerned team members get automatic notifications whenever someone completes a specific task or subtask. In Airtable, you’ll have an overflow of notifications for what can be handled simply and quickly all in one view in ClickUp. As your team begins creating tables and bases, different organizational styles begin to overlap and cause discontinuous layouts. There’s no consistency with how Airtable is organized or set up, making it even harder for teams to share their work as they grow larger and try to work on more projects. Airtable is a flexible tool in many ways; just like Excel, it has no limits. But therein lies the problem for project management. You have to customize it way too much to start. Sure, they offer templates to help, but again–the bases don’t connect. Your team will be working in a silo and you’ll have to customize it and maybe even create a different base for your team to communicate. That’s not project management — that’s extra work. Why try to make Airtable do something it’s not designed to naturally do? Catch that? Once you go through all that extremely hard work to get it just perfect, then it’s a breeze. It’s also a breeze if every day of my life goes exactly as planned–but how often does that happen? 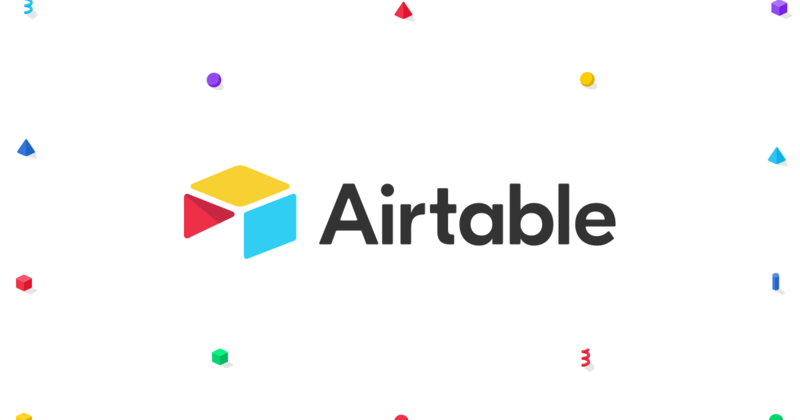 Point is, you may one day get Airtable set up *exactly* the way you want it, but that’s not always the case. Is it worth the work to get it there when you can begin with more powerful project management tools right out of the box? A project management software tool doesn’t need that level of customized tasks, because it’s only meant to help maximize your productivity. It just takes 10 minutes to set up ClickUp, add team members and start using it! Assigned Comments – Instantly create and assign action items for yourself or others right inside the tasks. Rich Text Editing – With ClickUp’s intuitively beautiful rich formatting interface, there’s no need to limit a task to only basic text. You can use markdown language or other ways to emphasize your point. Different Views – List View, Board View, and Box View offer the perfect view for developers, managers, and everything in between. 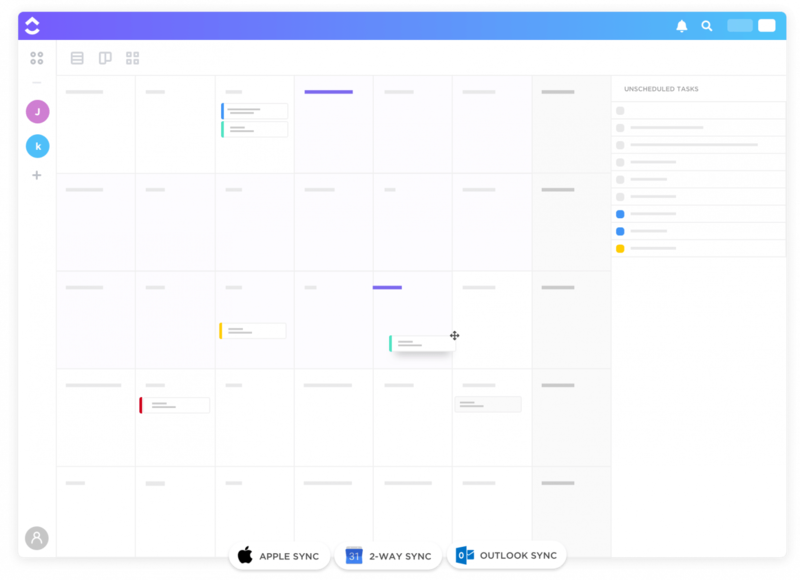 With Airtable, you only get one type of view–a big long list that doesn’t help you sort or prioritize. You also get Gantt, Calendar View and embeds, tables and more. All in ClickUp. Priorities – Use priority levels, and organize tasks based on their importance to a project. Drag and Drop – Drag and drop tasks no matter where they are in ClickUp. Reporting – See tasks completed, who’s working on what, and time estimates for tasks and projects. Filter quickly across projects and tasks. Guest Accounts – Airtable allows for collaboration via a form but not for you to invite actual guests and control their access permissions. Bottom line, spreadsheets are awful for project management. Before you add all of your projects to Airtable or Excel, think about the limitations that are very valuable for managing projects. How will you forecast deliverables? Knowing when something is late, or running behind is one of the key points to any task management, productivity platform or project management software. And Airtable can’t do that quickly and accurately. With project management software, you can get everything back on track. How will you manage unexpected changes? You can have the most awesome project plan cemented by your flexible agile project management philosophy, but you’ll be restrained by Airtable. Its difficulty with customization will set you back and turn your agility into fragility. How long will this take? In Airtable, employee schedules and time tracking becomes more difficult. Determining capacity and resource management is more difficult, especially when teams work across projects. Remember, bases don’t connect, so you’ll lose that visibility. What is Airtable Used For? Each base is an area of focus where you need to quickly check off what is happening and if it’s been addressed. If your sales team is following up on different leads and needs to rank them based on priority, activity or past contact, then you can store that info in an Airtable base, much like with a spreadsheet. This would function as a defacto CRM and would give you a quick overview of the number of people you need to reach or contact. Or if you’re a developer and need to address different bugs across many different products, you can create a list in Airtable and then connect which bugs go where. Airtable is also great as a reference document, like tracking different articles that you’ve read for research on a topic or to share your top tips with friends, like marketer Hiten Shah does here. The beauty of Airtable is in its relational database setup. That means that you can easily connect databases of information across multiple different fields and bases. Here’s an example. Say you have a large set of retail stores. And you need products for each of those stores. Where can you get products? Who manufactures them? Which product is where and how do you get more of them? In Airtable, you can set up a database for the products, the manufacturers and a base for your stores. You could then connect, cross-reference and link across each of those bases in Airtable without losing a beat or coming up without looking SQL. Airtable has a great breakdown of how this would work here. 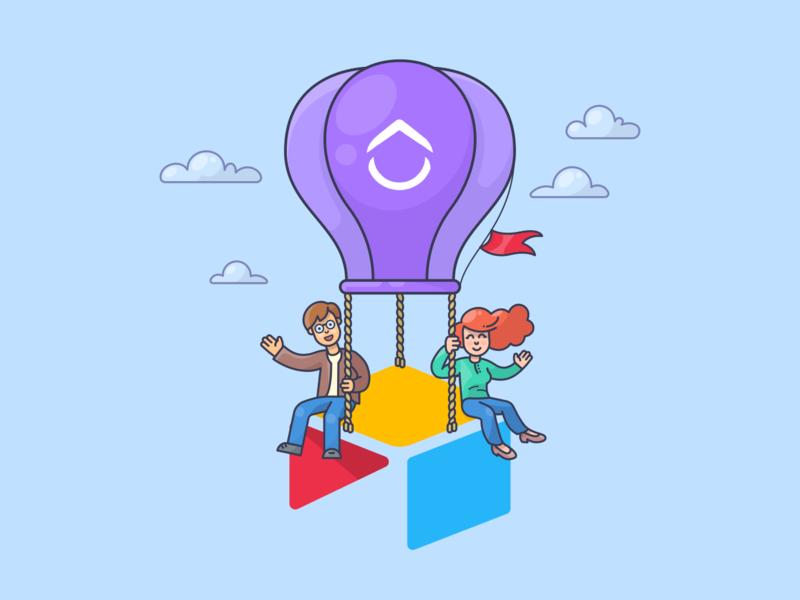 NOTE: See how ClickUp compares as an Airtable alternative! Yep, Airtable is great–for certain things, especially as an inventory of products, assets, research or links. Otherwise, it’s trying to do things that spreadsheets and databases aren’t meant to do. Think of Airtable as an alternative to Excel or other harder-to-use database programs. But if you’re actually trying to complete more work and finish projects, then you should choose a project management program like ClickUp instead. Do you need to import tasks from Airtable? To import tasks from Airtable into ClickUp, you’ll need to export your bases into a CSV file and then re-arrange some of your columns to fit tasks. This isn’t difficult to do. You can read the help doc, watch this video or reach out to us at help@clickup.com.